From Fort Collins take Highway 287 north to Ted’s place (corner of Hwy 14 and US287). Continue north on US287 for 11 miles. Turn left onto CR74E at the Forks. 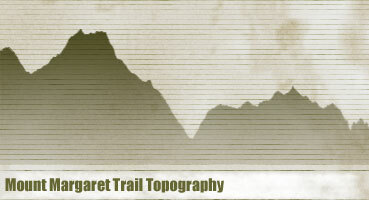 Follow CR74E for 20.5 miles, the Mt. 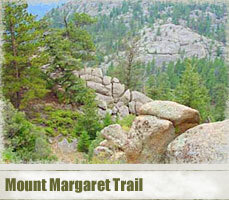 Margaret trailhead is on the right. Mt. Margaret is located on decommissioned roads. Two designated loops are marked in addition to the main to trail to the Mt. Margaret summit. This is a great beginner trail, or a nice place to play with your cyclocross/rigid bike. Be prepared for a few sandy sections if it hasn’t rained in a long time.